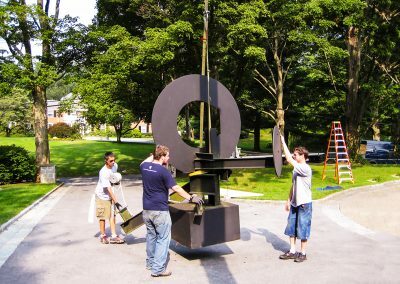 While best known for our ability solve seemingly impossible challenges in the most affordable and efficient manner possible, it is important to remember Artcore is a true full-service Fine Art Service provider. Clients both new and old should always rest assured, secure in the knowledge that our considerable resources are at least on par with those of our competitors and, in some aspects, far exceed them. We just find that, by applying a smarter approach and uniquely creative perspective, we simply don’t need to use every tool in our kit to get the job done. Perfectly. 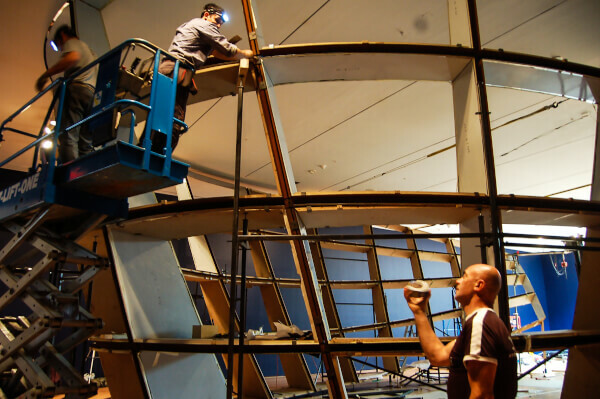 Artcore technicians employ a mixture skills associated with many, seemingly disparate, disciplines. For example, any one project may require the deft touch of an experienced cargo handler, the trained aestheticism and presentation skills of a designer, and the analytical mind and spacial awareness of a master rigger. Fortunately, our experienced technicians boast a remarkable breadth of knowledge, and our combined team approach yields a complementary skillset and capabilities that is far greater then the sum of its parts. Fine art rigging is as much Science as Art and requires a mastery of both materials and equipment. 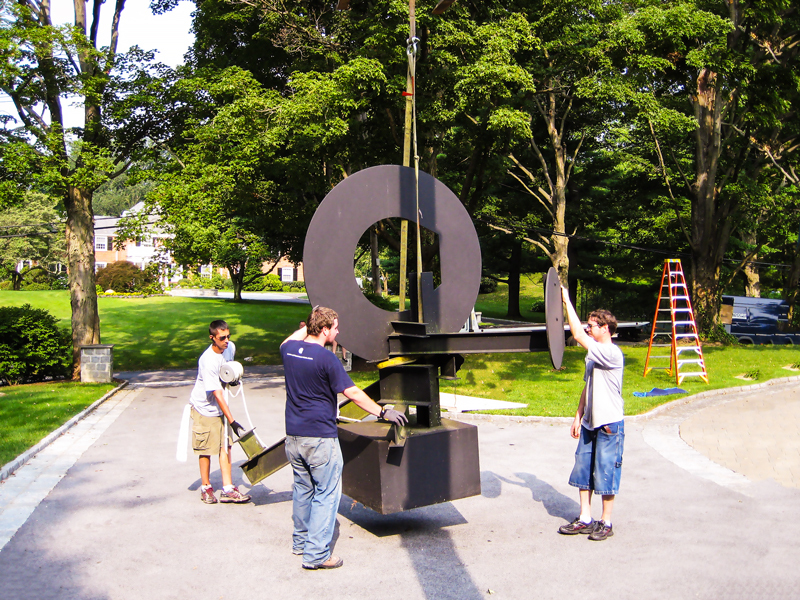 From basic and advanced, Artcore specializes in the complete spectrum of fine art rigging, assembly, installation, re-location, and de-installation of large-scale and complex objects. 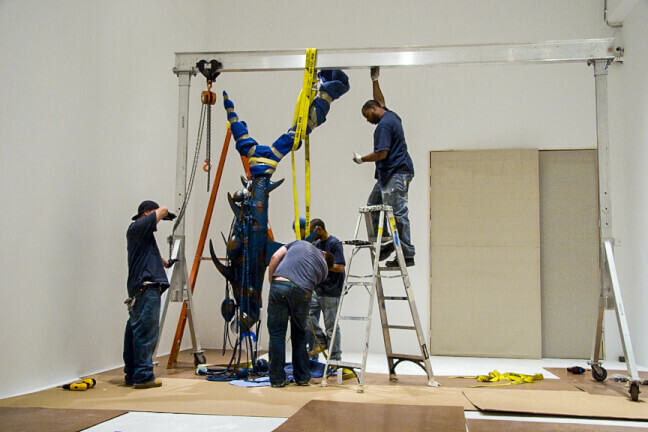 We maintain and operate a fleet of specialized equipment and proprietary vehicles specifically designed to meet the unique demands of art rigging. 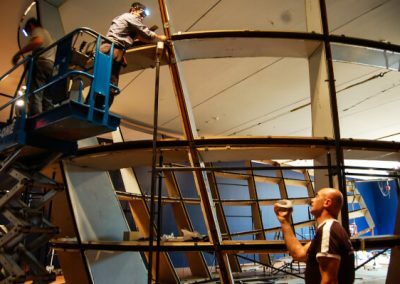 Our expertise and experience, coupled with our unique facility for creating effective solutions, ensures that Artcore can and will meet the needs of even the most demanding projects. Every time. For the Sake of the Art. Our climate-controlled storage facility available in Long Island City, NY, centrally located and minutes away from Manhattan. Artcore provides complete logistical services for the safe transport of Fine Art and High Value Goods to any destination in the world. In addition, we offer our own unparalleled fleet of proprietary vehicles specifically designed and built for the care and transport of Fine Art and High Value goods. Artcore does not subcontract work to other vendors and can provide point-to-point service, anywhere in the lower 48 states. Our specialized fleet of vehicles can serve your small runs to the framer or the massive retrieval from the foundry. All our trucks are custom built to the specific needs of our specialized industry. Each truck is outfitted for maximum capacity while maintaining absolute safe control and full compliance with all transportation regulations. Artcore operates a domestic shuttle system with transport to all major cities in the United States on a regular basis. 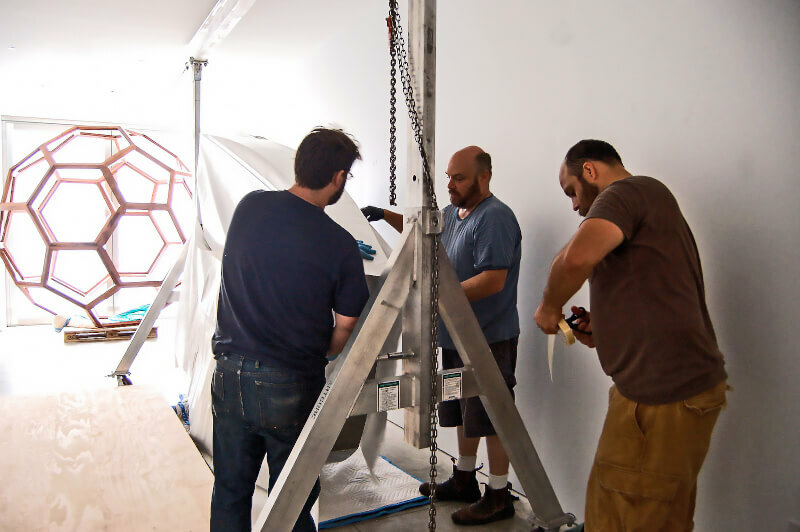 Each shuttle truck is fully equipped to meet your door-to-door needs whether for a single artwork or an entire collection. When a shuttle is not right for you due to time constraints or volume, as always Artcore has a flexible custom solution for you. Our exclusive-use service vehicles are designed for rapid response to any location in the United States within 5 days or less. Our exclusive fleet can quickly respond coast-to-coast and return to NY in less than 8 days total time. Our trucks are custom-equipped for each job, always maintain dual driver/technicians, an offer an unheard of 92” x 205” custom level-lift lift gate for dock level or ground deliveries. Each truck has a clear minimum height of 105″ at the door and a full 144″ clear interior height ceiling to accommodate your largest objects. In addition each truck is equipped with climate-controlled environment for optimal humidity and temperature, are air ride equipped and satellite tracked for accurate dispatch and complete peace of mind. We pride ourselves on operating one of the most unique and flexible feet of vehicles in the HVG and Fine Art Services sector. When called upon to move objects that require permitting and open trucks, we always have the right equipment for the job. 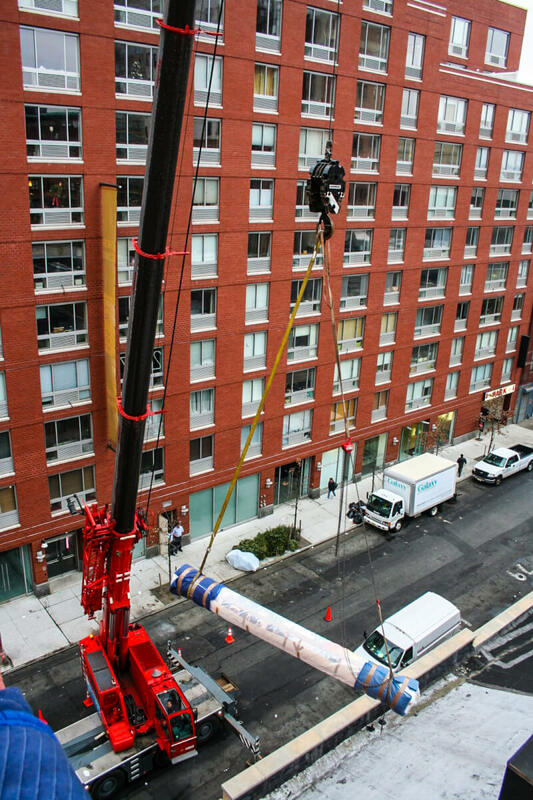 Artcore has the unique capability to move objects up to 156” tall and 70 tons without exceeding the national height restriction of 13’ 6”. Upon request and as needed, we can also provide additional specialized equipment to ensure the seamless completion of your job. Artcore combines expert construction practices with high-quality materials to build custom crates and containers that exceed requirements yet remain competitively priced. Our near-artisanal level of detail throughout the process results in crates that exceed protective capacity yet remain aesthetically pleasing. Artcore custom-designs all its crates to be user-friendly, simplifying the act of unpacking or repacking the artwork on site for your customer. 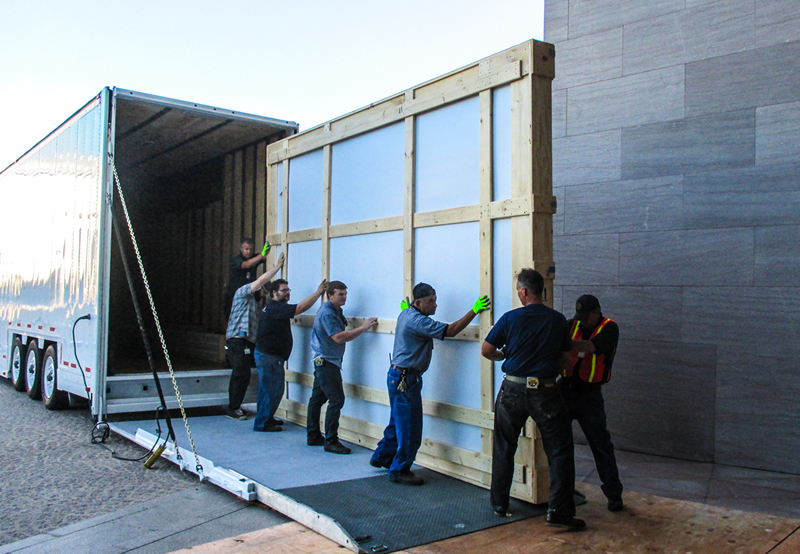 Each crate is built to provide maximum protection for Fine Art and HVGs during both transport and storage. We carefully select our materials in order to minimize the stress on the object throughout the process of packing and unpacking. At Artcore, we don’t believe in cookie-cutter crates. Whether designed as a one-way crate or for multiple uses, each crate is computer designed and built to meet the unique needs of an object and, when requested, the personal preferences of our clients. The result is a variety of crating options that offer build-to-suit convenience at a surprisingly competitive price. Artcore also offers a line of fully lined prefabricated HT standard crates for your shipping needs. Artcore’s signature finish option makes for a crate that stands out in a crowd, while offering an added layer of protection against nature’s elements. Signature Finish may be combined with any crating option.